Isa McQuiston is caught between two worlds. Strange creatures are attacking her people, their injuries beyond her medical expertise. More than one fisherman has been tossed ashore by the waves, drained of blood, a severed tentacle piercing his flesh. To find answers, she must forge a cautious alliance with the outsider making inquiries... even if he does present an almost irresistible temptation. Dr. Alec McCullough, an injured naval officer, is restless and bored. Until his brother--an agent for the Crown--offers him an assignment: investigate a recent rash of unexplained octopus attacks. On the wet and windy Hebridean Isles, his every effort is met with resistance. Coaxing an attractive young widow--the local healer--to allow him to examine the latest victim only leads to further complications. 5.0 out of 5 starsAnother thrilling success. Book three of this series has proved to be just as enjoyable and thrilling as the others!! What an imagination Anne Renwick has, and how well she writes her characters!! Loved it!! This is my fourth book that I have read by Anne Renwick and I have loved them all! I had never read any steampunk before and I must say that I fell in love with these stories. This latest story is an action-packed thriller. Isa is a marvelous and well-developed character. Alec is her perfect match and I love how they play off one another. This story kept me turning pages anxious to find out what is going to happen next. I highly recommend this book and believe that it will make you want to read more by this author. If you love steam punk and romance with adventure (or is it adventure with romance? ), this is a book for you. As with all Renwick's books, the characters are nuanced and complex. The romance element unfolds logically and although the leading man and woman are instantly attracted to each , and they fall in love in a relatively short time, this isn't a case of insta-love. Instead of "ooh, you are so physically attractive, I eternally love you now!," they get to know each other and discover all the ways in which they are a perfect for for each other. A very satisfying read! I mean it as a complement, not a complaint, when I say that these books are never long enough and don't come fast enough. They are just such a good read that, even though they are very satisfying, I always want more. Anne's books keep getting better all the time. I've read everything she has produced and look forward to her next creation. She has strong heroines, intriguing main men and zany plots with diabolical mad scientists creating who knows what next. Keep up the great work and I 'll read on. Always entertained! 5.0 out of 5 starsAnother success! Another hero and heroine for a successful tale! Anne Renwick has again developed characters that you love to read. 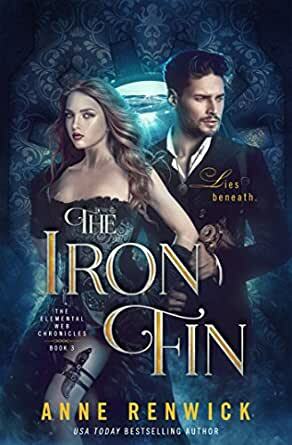 Isa and Alec are strong and delightful in this tale of strange creatures and exploits galore. Thanks for the adventure!